Dr Johan Liu graduated with a master and a Ph.D. degree in materials science from the Royal Institute of Technology, Sweden. Before joining Chalmers University of Technology, he served in various positions at the Swedish Institute for Production Engineering Research (IVF) as project manager, group leader and division manager. He is currently full professor in electronics production and head of Electronics Materials and Systems Laboratory, Department of Microtechnology and Nanoscience in Chalmers University of Technology, Sweden. As a member of the Royal Swedish Academy of Engineering Sciences and a fellow of IEEE, he has published 500 papers in journals, conference proceedings and book chapters with a Hirsch index of 29 in Web of Science (WoS) and 39 in Google Scholar Citation System (Google Scholar) and with a citation of over 2840 times (WoS) or 6000 (Google Scholar). He has 75 patents accepted or filed and has given 55 keynote/invited talks. 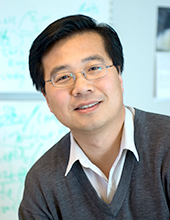 In addition to this, he has published 35 papers with impact factor over 3,5 (8 of them over 10) including those in Nature Communications, Advanced Materials, Advanced Functional Materials, Nanoenergy, Small, Carbon, Journal of Materials Chemistry, Biomicrofludics, Tissue Engineering, Glia, Langmuir, Scientific Reports, IEEE Electron Deveic Letters and IEEE CPMT Transactions, Applied Physics Letters, Nanotechnology, IEEE Nanotechnology, Journal of Composite Science and Technology and European Polymer Journal. He has also received many awards including IEEE Exceptional Technical Achievement Award, IEEE CPMT Transaction Best paper award in “Advanced Packaging”. His research field covers mainly nanoelectronics, microsystems packaging and 3D additive manufacturing materials and processes including vertical stacking CNT TSV technology, CNT/graphene assisted cooling technology, graphene heat spreader, high temperature stable conductive adhesives, nano-soldering, nano-thermal interface materials and biomedical nanoscaffolds. He has successfully run over 70 research projects funded by National Science Fundation, Swedish Board for Strategic Research (SSF), Natoinal Swedish Board for Innovation (Vinnova) and Formas, Sweden as well as EU FP6, FP7 and Horizon 2020 programs. A Novel Method for Three-Dimensional Culture of Central Nervous System Neurons. Electrospun polyurethane scaffolds for proliferation and neuronal differentiation of human embryonic stem cells.